Upcoming events with Ian Weir: Seattle, Portland, Marin. 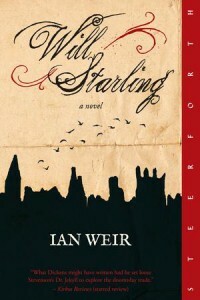 During February and March, I have the great pleasure of joining Ian Weir for three book events in support of his newly released (in the US) novel, Will Starling. I jumped at the chance to participate – as a reader, interviewer, general raconteur…Weir’s book captivated me completely, and I have so many questions about the writing of it. Join us in Seattle 2/24 at Elliott Bay Book Company, 2/25 in Portland at Annie Bloom’s Books, and 3/5 at Book Passage, Corte Madera. Click the links for details, and please join us!